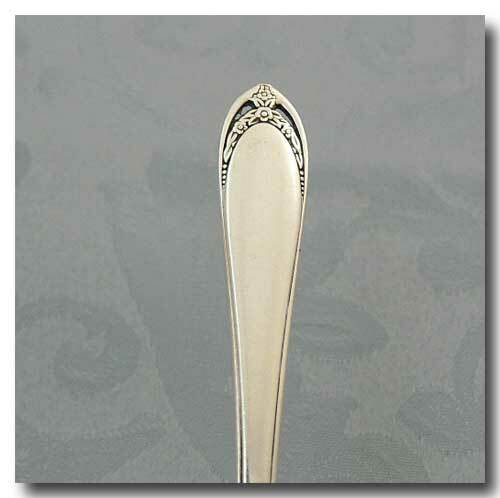 Collectivator :: 4 SILVER PLATED SALAD/DESSERT FORKS IN THE 1847 ROGERS BROS. 'LOVELACE' PATTERN. 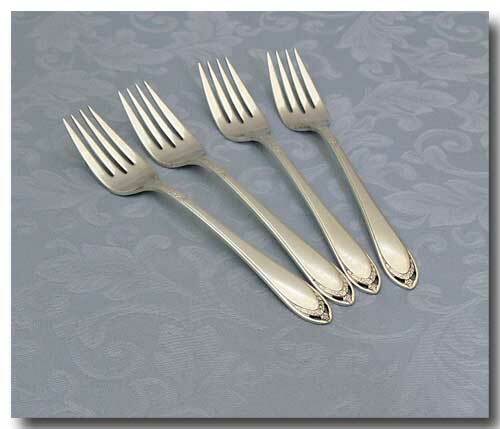 4 silver plated salad/dessert forks in the 1847 Rogers Bros. 'Lovelace' pattern. This pattern was first introduced in 1936. 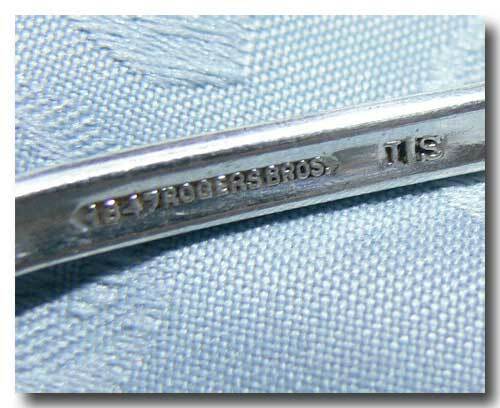 The forks are in great condition, with normal signs of wear. Length: approx. 6 3/4 inches.